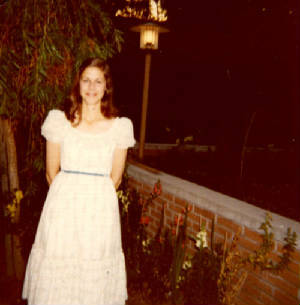 Author Michelle Russell was born in Burbank, California and raised by her mother, a dancer. Ms. Russell began performing at the age of four, though being in show business was not something her mother wanted her to follow. While attending Los Angeles City College, only blocks from Prospect Studios where The Julie Andrews Hour was being taped, it was Ms. Russell's great good fortune to be allowed to attend many tapings of the show, including some of the closed set tapings. During the next few months, she was able to watch Ms. Andrews and her guests hard at work, spending nearly 100 hours watching the rehearsals and taping of the show. In 2011, Michelle Russell took out her old diaries and, reading them, realized that the memories which were so precious to her, were also stories that should be preserved. In writing her blog, and ulitmately, her book, Ms. Russell hopes that more people will be interested in seeing "The Julie Andrews Hour" released on DVD. These wonderful shows contain many great performances by the legends of the entertainment industry of the1970s. They deserve to be preserved, shown and treasured.